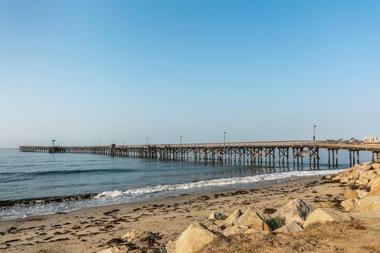 Goleta is a fun place for a family holiday or a romantic weekend getaway. One of the most unique and interesting things you can do while there is to go see the migrating Monarch butterflies at Goleta Butterfly Grove or the Coronado Butterfly Preserve. 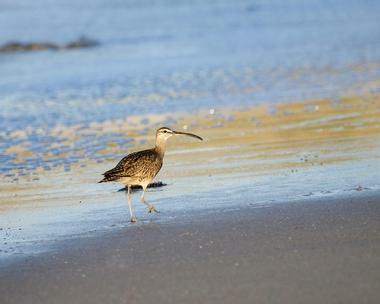 Visitors also enjoy spending the day outdoors at Goleta Beach or going on a brewery tour with Rock Star Trolley. With wide open beaches and several hidden gems like souvenir stores and restaurants, Goleta is sure to be enjoyed by everyone in the family. 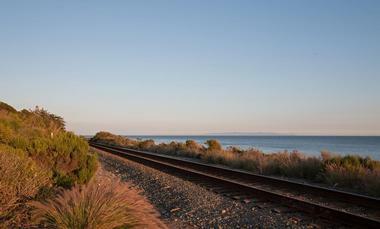 Comprising a park, slough, and wetlands, Goleta Beach is a manmade beach that was established in 1945. No matter what time of the year you visit, you’ll be met with gentle breezes and a quiet surf, making it a laid-back place to enjoy your day with family and friends. Bring along a picnic basket as there are several designated picnic areas on the beachfront or enjoy a delicious meal at one of the many bars and restaurants that line the place. Though surfing is not extremely popular on the waters here, you may catch a short wave. Other activities that are available include bodyboarding, water polo, kayaking, swimming, and beach volleyball. There’re also several horseshoe pits, a playground for younger visitors, and a pier to relax on. 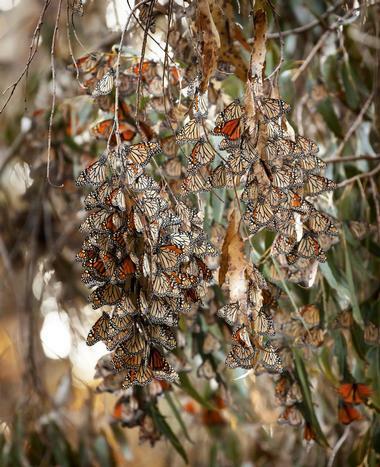 Goleta Butterfly Grove, which can be found in the Ellwood Main Monarch Aggregation, is a popular attraction with both locals and visitors. The best time to visit is from November through February, when you can witness the amazing migration of Monarch butterflies to the grove. Visitors can spend the day there just exploring the large outdoor space, getting up close with the butterflies, and viewing several different species of birds. Adjacent to the grove, you will find the Ellwood Mesa, which is a 137-acre open space full of trails, a beach, and several amenities to assist you. 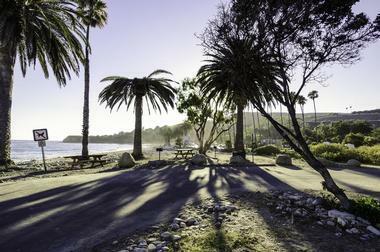 The palm trees which you’ll find lined along the coast gives Refugio State Park and Beach a distinctive look and feel compared to other beaches in the area. Refugio is extremely popular with visitors as there’s so much you can see and do there, making it a great location for an outdoor adventure for people of all ages. You can spend your time walking the trails, enjoying a picnic on one of the picturesque sites, going coastal fishing, taking a swim, sunbathing, or even camping in the many designated areas. One of the most memorable activities is going on a kayaking tour so that you can take in the beauty of the coast line and the surroundings; tours are offered daily to kayakers of all skill levels by State Park Lifeguards. 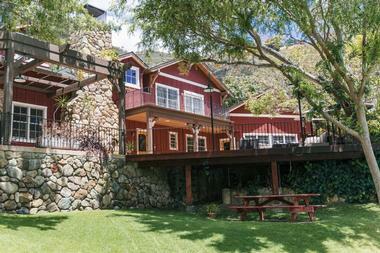 The Circle Bar B Guest Ranch & Stables has been owned and operated by the Brown family for four generations. Circle Bar B was established in 1939 as a way of sharing the area’s pristine beauty with people so that visitors can enjoy it as much as they do. The ranch now spans nearly 1,100 acres and has so much for you to see and experience; you can spend your time there walking the coastal mountain paradise, looking out for local flora and fauna, going horseback riding, or relaxing in the beautiful guest ranch. You can enjoy some delicious food and outstanding service as you make some unforgettable memories while in Goleta. 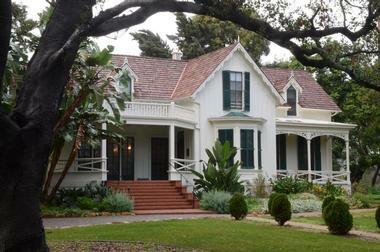 The Coronado Butterfly Preserve spans 9.3 acres and houses an array of woodlands, meadows, and eucalyptus groves. You will see and experience so much in this urban community treasure, from several species of wildlife and birds to one of the largest Monarch butterfly groves in the state. It’s a popular place to explore as you come across several native trees and plants during your adventure. Spend your time walking by the serene Devereux Creek, hiking through the innumerable trails, or having a picnic in the designated outdoor gathering areas. 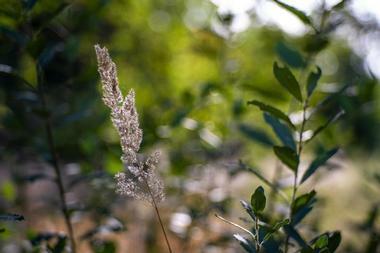 The trails line to several other sites such as Devereux Slough, Ellwood Shores coastal bluffs, and Goleta Monarch Grove. 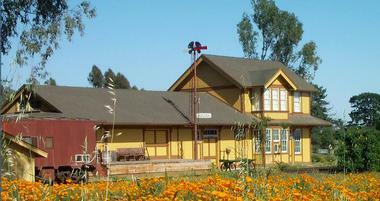 Fairview Gardens was founded in 1895, making it one of the oldest organic farms in southern California. 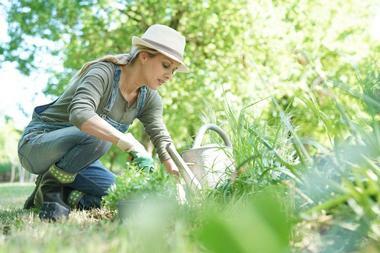 The land is now preserved and maintained by the Center for Urban Agriculture, a non-profit organization that was established to preserve the historic farm. Situated in the midst of a growing suburban community, Fairview Gardens plays a unique role in a community filled with homes and shopping malls. 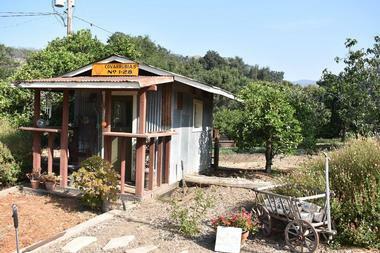 You can go there for a peaceful getaway on the open space, where you can also learn about small regional farm operations and the economic viability and sustainability it provides to the community. The rustic space hosts several events throughout the year including their popular farm to table celebrations filled with snacks and foods produced right on the farm. Listed on the U.S. National Register of Historic Places, the Rancho La Patera & Stow House is a historical landmark that was formerly the headquarters of Rancho La Patera. It is now home to the Goleta Historical Society, who invite visitors from all over to come explore and experience the amazing structure and surrounding grounds. You can go on a guided tour of the Stow House, learn interesting facts at the Visitor Interpretive Center, and get up close with the hands-on exhibits that are on display in the History Education Center. You’ll be able to see family photographs, period furniture, and hear stories about Sherman and Ida Stow and their family. Focusing on the history, technology, and adventure of railroading, the South Coast Railroad Museum is housed in the Goleta Depot, which is a Southern Pacific Railroad train station that was established in 1901. The depot is listed on the California Registry of Historical Resources and the National Register of Historic Places; within the museum you’ll be able to see several photographs and artifacts about the depot, the railroad industry, and the many people behind it. Kids will enjoy learning about the railroad’s contributions to local history and its impact on rural communities across the United States. Additional features also include seeing model train sets, a Southern Pacific caboose, and going on a miniature train ride. The Coal Oil Point Natural Reserve is one of the best current examples of a coastal-strand environment in Southern California. 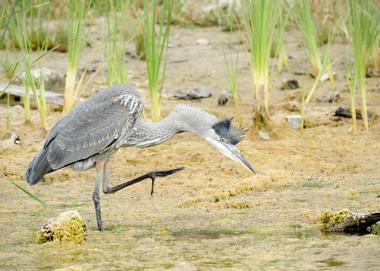 You’ll be able to explore a largely undisturbed stretch of coastal dunes, shoreline, and estuarine habitats. In the heart of the reserve, you’ll be able to explore Devereux Slough, which is a flooded tidal lagoon that forms seasonally before drying out to form hypersaline ponds and salt flats. It’s a wonderful place to visit for those who want to observe the area’s flora and fauna; ornithology aficionados should definitely come with a pair of binoculars as there are thousands of migratory birds that visit the reserve. Draughtsmen Aleworks is a micro craft brewery and taproom in Goleta that is just ten minutes from downtown Santa Barbara. They specialize in small batch beers made with familiar IPAs and ales, as well as the occasional experimental brew. All their beers are approachable and have distinct taste that makes it a popular choice with the people of the community as well as visitors of the area. Great beers of theirs that you should try include the Perseverance light lager, Buxom Blonde blonde ale, and Nama Biru Japanese rice lager. 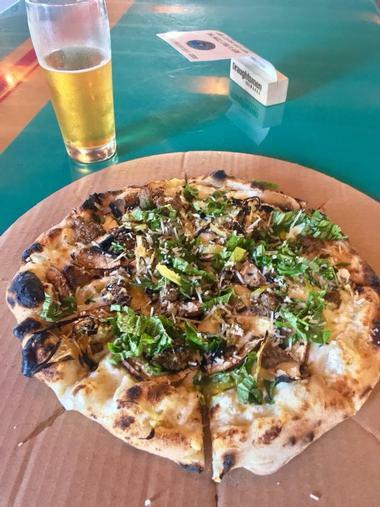 Head on over to their tap room, which is often visited by food cart of all sorts and hosts events like trivia night and performances by local musicians. Ice in Paradise is a public skating sports and recreational facility that is operated by the Greater Santa Barbara Ice Skating Association. The award-winning arena spans 46,500 square feet and is open to residents and visitors all year long. Inside, you’ll find two rinks: the Snider Rink, which is an NHL size rink, and the Norqual Rink, which is a smaller studio ice skating rink. 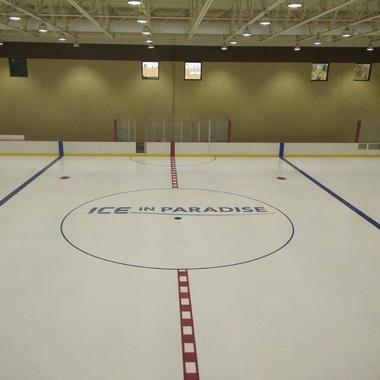 Additional facilities that are available at Ice in Paradise are six team locker rooms, a specially-equipped adaptive sports locker room, a figure skating room, a meeting room, food concessions, and rental skates. There are several organized programs and events for skaters of all ages available throughout the year. Situated on the edge of the Pacific Ocean, the Sandpiper Golf Course is a championship golf green that is challenging and inspiring. Featuring rolling fairways and challenging greens, the course was designed by William F. Bell and opened in 1972. 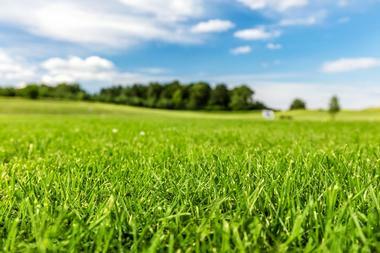 It has been rated one of the top twenty-five public golf courses in California and one of the top hundred in the United States. You are sure to have a truly memorable experience as you play on the 18-hole course while surrounded by breathtaking views of the mountains and the ocean. 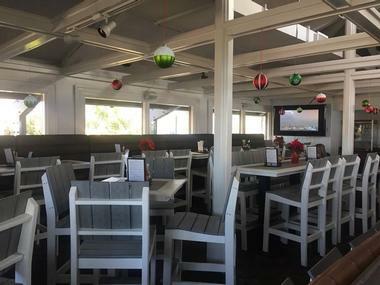 Afterwards, head over to the Sandpiper Grill to enjoy a delicious meal indoors watching sporting events on the television or outdoors on the expansive patio. The Arroyo Hondo Vista Point is a bridge that was built in 1918 to originally serve highway US 101; it did so until 1984 until a bypass was constructed and now serves as a scenic overlook. The overlook is a wonderful place to stop by as you drive through Goleta as it provides stunning views of the Gaviota Coast. Be sure to bring your binoculars so you can scan the ocean and surroundings for interesting landmarks and migrating whales; don’t worry if you do forget though, as the vista is installed with telescopes for public use. Be sure to check out the interpretive panels there which give an overview of the coast’s history and is filled with interesting tidbits on the surroundings. 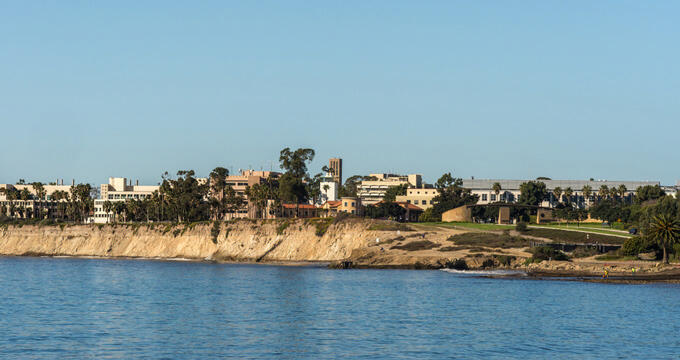 Also known as Campus Point, Goleta Point is a small peninsula found off the city of Goleta. The rock formation forms an extension into the Santa Barbara Channel and is popular with several species of shorebirds. You can walk through the beach cliffs, listening to the sound of crashing waves, as you explore this stunning place. Goleta Point is said to be one of Santa Barbara’s best surf breaks, though the conditions are dependent on the direction of the wind and swell. It’s a great place to go exploring and enjoy the lovely outdoors while in the area. Established in 1992, Silver Peak Wilderness is a lovely outdoor space that is within the Los Padres National Forest. Visitors and locals flock to the area to go hiking, backpacking, horse riding, or camping, all of which can be done safely and surrounded by the stunning beauty the wilderness offers. While there, you’re sure to come across steep canyons, waterfalls, coastlines, and an expansive array of flora and fauna. It is one of the best places to see trees such as the big leaf maple, red alder, gray pine, and the California sycamore. Kids of all ages are sure to have a great time exploring the outdoors. Voted as Santa Barbara’s ‘Best Trolley Company”, Rock Star Trolleys is a wonderful way to go sightseeing while in Goleta. The unique open-air trolleys are sure to make your trip memorable as you go on their spectacular tour through Santa Barbara and all the sights there are to see. There are special trolley events throughout the year such as their Christmas Lights Tour and Brewery Tour which includes tastings at three different local craft breweries. 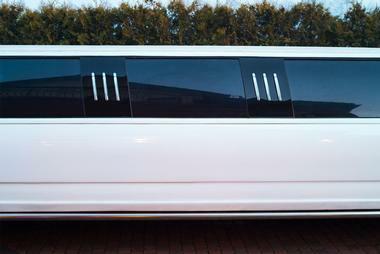 Their Wine Trolley Tours are a popular choice as they take passengers through Santa Barbara’s stunning wine country and includes complimentary refreshments and snacks such as cheese, crackers, and chocolates. The Foley Food and Wine Society opened a remarkable tasting room in The Ritz-Carlton Bacara for you to have an amazing wine experience while in Goleta. 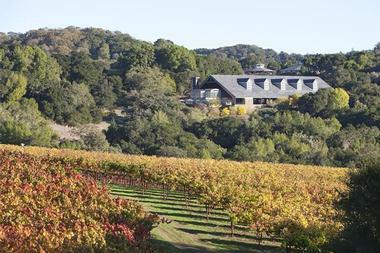 Located near the entrance of the resort, the FFWS Tasting Room offers a unique approach to wine tasting, one which you can enjoy while seated at private tables, communal couches, or standing at the bar. The environment is elegant and airy, fitted with cut stone pillars, wood beams, and a gorgeous display cabinetry. There are over seventy wines in their selection for you to choose from, including those from the Foley Family portfolio such as Chalk Hill, Firestone, and Merus. 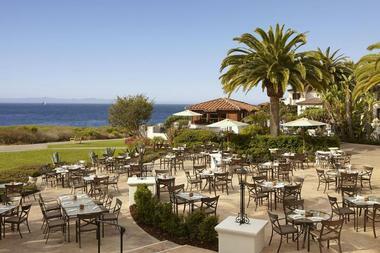 Dine in a fun atmosphere with great food as you take in sweeping views of the Pacific Ocean at Beachside Bar-Cafe. Whether you’re a longtime local or are there for a quick getaway, this restaurant will prove to be a favorite. The charming beachside eatery has an extensive menu that is filled with favorites but they’re most popular for their fresh fish and seafood. You can feast from their seafood bar and pick delicious dishes such as oysters, scallops, calamari, shellfish, crab cakes, and prawn cocktails. The chile rellenos de camarones is an entree of fire-roasted chiles stuffed with shrimp and cheese and is served with garlic mashed potatoes, seasonal vegetables, and soup or salad, and shouldn’t be missed. Housed in The Ritz-Carlton, the kitchen at Bistro at Bacara is run by renowned chef Umit Kaygusuz who partners with sustainable food sources and local partners to create mouthwatering dishes. Sit out on their oceanfront terrace for a romantic dinner complete with wood-burning fireplace and overlooking the hotel swimming pool and bar. 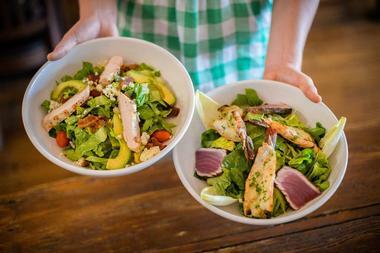 The traditional bistro has a casual dining atmosphere and offers a menu filled with seasonal salads, brick-oven pizzas, and their signature Bistro burger which shouldn’t be missed. It is open for breakfast, lunch, and dinner, and dishes that have proven popular with their patrons include the California Florentine, the crab cake sliders, and the seafood paella served over Spanish bomba rice. Awarded ‘Best New Restaurant in Santa Barbara’ by the Santa Barbara News Press and ‘Innovative Business of the Year’ by the Goleta Valley Chamber of Commerce, it’s no surprise that you’re in for a marvelous dining experience with a visit to Kyle’s Kitchen. The restaurant was inspired by Kyle, a 14-year-old boy who was born with special needs and loves cheeseburgers; each time you dine at the restaurant, a portion of the proceeds go to organizations that help people with special needs reach their potential. 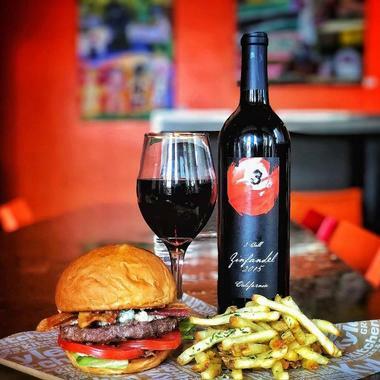 In addition to doing something great, you will also be feasting on delicious items from their menu like the seared ahi tuna burger, the Earth Burger with a handmade veggie patty, and the Firefighter which is a grass-fed beef patty topped with bacon, ranch, and cheese. Jane at The Marketplace is a family owned and operated restaurant that is dedicated to Jane Moody, a loving and warm person who enjoyed travel and good food. The restaurant reflects her character by providing a cozy atmosphere in which you can enjoy family recipes that have been passed down for years. Their lunch and dinner menu are filled with mouth-watering favorites such as brick-oven pizzas, hearty sandwiches, and plates of grilled duck breast, veal puttanesca, and grilled filet mignon. If you get the opportunity, stop by for their weekend brunch which is filled with traditional and modern offerings like goat cheese pancakes, Idaho trout salad, and Chinese bay scallops.